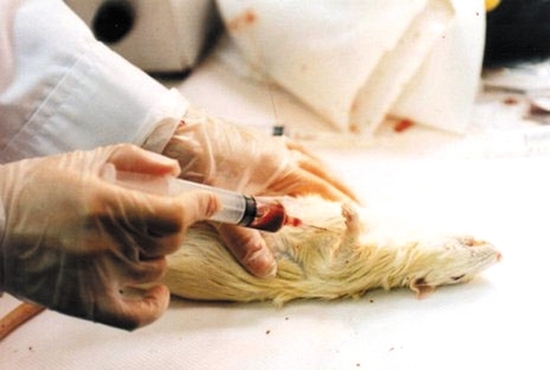 Animal testing is one of the processes for developing scientific techniques such as producing new drugs or developing new medical technologies. Animal testing is widely known to have begun with Aristotle? experiments. Nowadays, in the pharmaceutical world, animal testing is an essential process before clinical trials on patients. However, the controversy surrounding animal testing still remains. Some people think that the animal testing was an important role to invent various vaccines, while other people have opposite views. For instance, one of the reasons why they disagree is that there is no effectiveness because human beings and animals have only 1.2 percent of same kinds of diseases. They also think that the animal testing just infringes the rights of animals. Between the development of techniques and infringement of animals?rights, there were various discussions about the legitimacy of animal testing. What are Hanyangians?opinions about the animal testing? According to the 195 Hanyangians who were surveyed at both Seoul and ERICA Campus, 66.1 percent of the respondents were interested in animal testing, 71.6 percent of them got information about animal testing from the Internet and mass media, and 6.6 percent of respondents had experience experimenting on animals. In a question asking how scientific techniques and medical development are influenced by the animal testing, 73.8 percent of respondents answered the testing influenced the development of the scientific techniques and medical skills above the average level. 82.5 percent agreed with animal testing. 43.7 percent of the respondents answered that the reason they agree to animal testing is its contribution to the development of scientific techniques and medical skills. Looking at these data together, the statistics show that Hanyangians think that animal testing is one of the important processes of the scientific development. Meanwhile, 17.5 percent of respondents answered they have an opposite opinion on the experiment. 64.7 percent of the respondents responded that such testing is a behavior degrading the dignity of life. Also, 14.7 percent of them answered that testing is not beneficial to neither humans nor animals. Considering matters that should be taken in consideration of animal testing, there was a different opinion between the advocates and opponents. While 40.6 percent of the advocates answered that enhancing and strengthening scientists?ethics is the most important matter, 29.4 of opponents thought the matter of ethics is important. Meanwhile, 32.3 percent of the opponent respondents chose the matter of using minimum scale of animals. The clause which showed the largest gap between advocates and opponents is developing testing methods which can minimize animals?pain. While 29.4 percents of opponents choose this clause, only 2.6 percent of advocates choose it. In the society, some movements and resolution for solving arguments are enacted for solving the problems that Hanyangians identify. Articles of law related with animal testing have continuously been amended, and researchers and scientists enhance their ethics through their annual memorial events.